I'll let you in on a little secret. 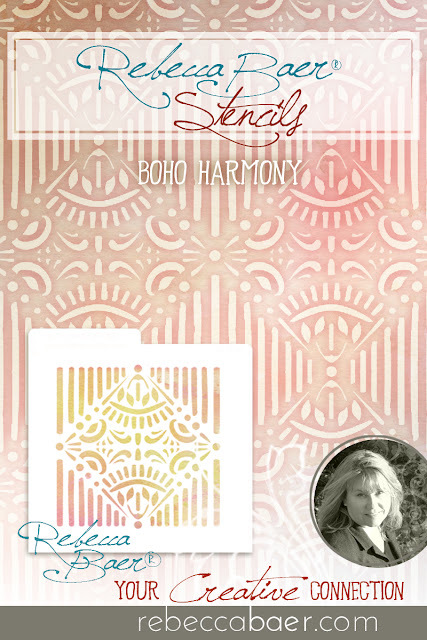 When designing stencils I often create multiple patterns designed to play well together. Featured here, are a few that I created to be used in conjunction with one another. You aren't limited to mixing these alone. 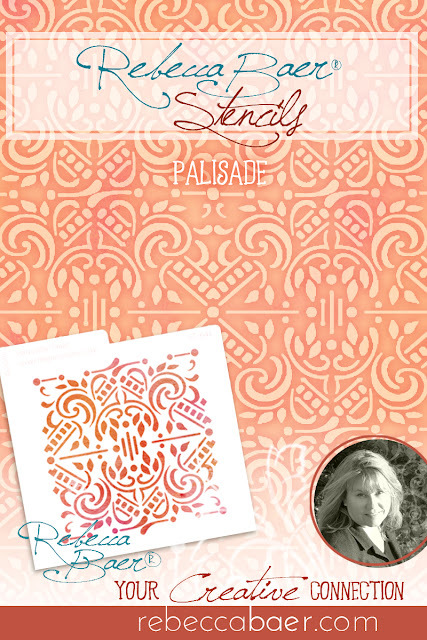 For example, the Bodacious Borders stencil, while designed to work with this group, is universal enough that it will coordinate with almost any pattern. When combining patterns one approach is to think "the same but different". This group falls into that category. 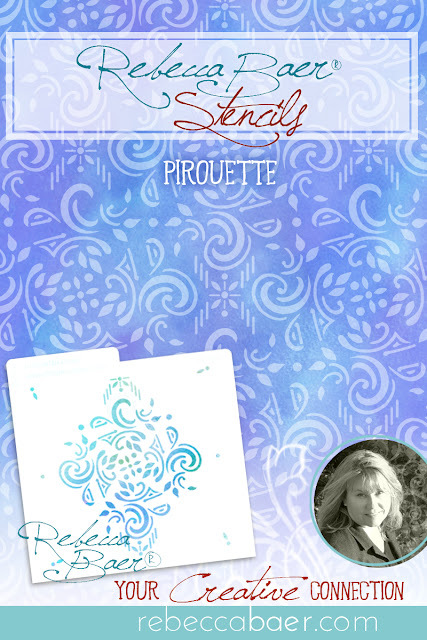 If you look at the individual elements that comprise the motifs of Pirouette, Bodacious Borders, Palisade and BoHo Harmony you will see some similarities. I have repeated shapes across all four stencils, added shapes unique to each stencil and created repeating patterns that are open, (more negative space) tight, (less negative space) random and structured. When mixing designs also consider varying the scale to create additional diversity among the motifs. We offer these stencils in three sizes so this is easy to do. Have you created art using these stencils? I would love to see the results. Because they are available in three sizes our stencils are well suited for many purposes including general arts & crafts, fabric painting, home decor, walls, furniture or any other decorative application that comes to mind. You may want to follow my Pinterest page to stay up-to-date with the many ideas and uses that I share from myself and other creatives. 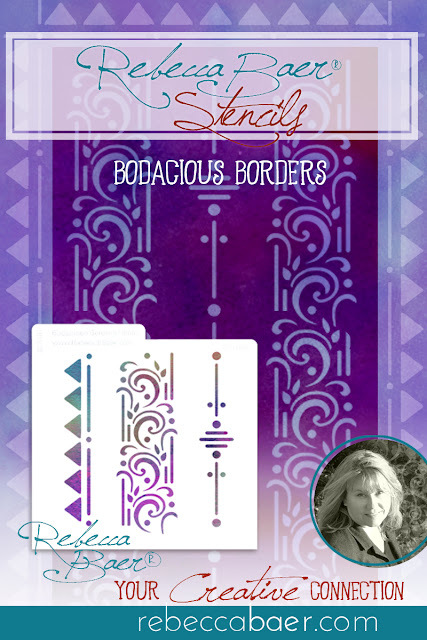 Bodacious Borders is designed to repeat in a linear fashion allowing you to create borders of any length while Pirouette, Palisade and BoHo Harmony align in all directions to cover an expanded area with a full background. 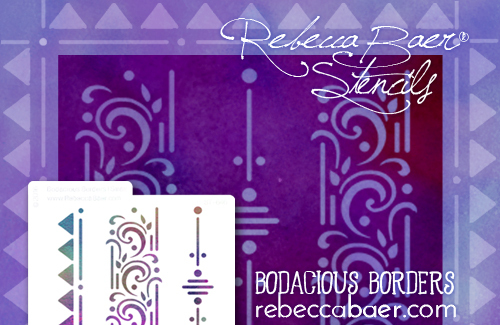 Each of the featured stencils can be found in the collage-style stencil category of rebeccabaer.com.